The Afghan government is trying to grab the attention of President Donald Trump and gain greater U.S. support by dangling its massive and untouched wealth of minerals, including lithium, the silvery metal used in mobile phone and computer batteries that is considered essential to modern life. But tapping into that wealth, which also includes coal, copper, rare earths and far more that estimates say could be worth from $1 trillion to $3 trillion, is likely a long way off. As long as Washington remains a hungry empire, U.S. troops will stay in Afghanistan beyond 2024. 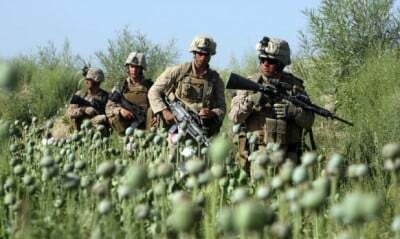 Despite the fact that the U.S. lost the war in Afghanistan and with the threat of a resurgent Taliban, occupying Afghanistan to extract natural resources will remain extremely difficult and dangerous for U.S. and NATO forces for many years to come.